Losing weight isn’t as much a matter of knowing what you should be doing as it is the ability to stick with a diet. If you’ve ever tried dieting, then you know that the main challenge isn’t necessarily in deciding what you should do. It’s not giving up or “cheating” on your plan once you’ve found it. That said, being able to stick with a diet is easier said than done. After all, it is a matter of breaking old habits and establishing new ones. Anyone who has ever tried to break an old habit or learn a new one can tell you that it’s a challenge. In the case of dieting, you’re trying to do both at the same time. As much as it would be nice if cross trainers really were the best workout shoes for each exercise you do, that’s typically not the case. No matter what gym activity you happen to use or which sport you enjoy to blast the fat, there is footwear out there that will be perfect for you. That said, just because a brand claims to have the best workout shoes for you, it doesn’t mean that’s what they are. Moreover, there isn’t a single shoe that is ideal for every foot. Finding the right pair is a combination of knowing the best models and then trying them on so you can see which ones best suit your feet, your comfort preferences and your workout needs. 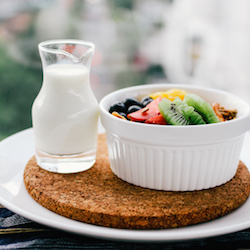 When you want to slim down, you don’t have to focus all of your attention on your diet and on the number on the scale in order to get results. In fact, there are some indirect ways to lose weight that can help you reach your ideal weight and feel great without having to lose your mind in the process. 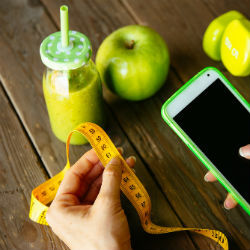 Check out the three indirect ways to lose weight below and give them a try, especially if you’ve been struggling with your weight and you’re tired of trying other methods that have only led to frustration. You’ve changed both what you’re eating and how much you’re exercising and yet you still haven’t increased muscle mass. What went wrong? Maybe you saw a bit of a difference at the start and suddenly your progress came to a screeching halt. Maybe you haven’t seen an ounce of difference despite all your careful efforts. 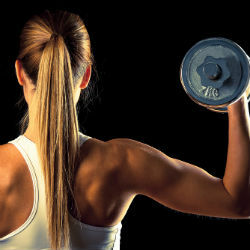 Discovering why you haven’t increased muscle mass even though you’ve been making an effort can be very frustrating. It can be difficult to know if there’s a problem, what it might be and what you should change to fix it. Fortunately, there are some common reasons that this can occur, so reviewing the list might be all you need to pinpoint your own issue.